The “knowledge transfer” debt is supposed to exist because, between the 8th and 10th centuries, a large number of classical Greek writings were translated into Arabic and were “preserved” this way. Later these were translated from Arabic into Latin, mainly in the second half of the 12th century, mainly in Spain. The claim is that without these translations Europe would not have had access to these important texts, and as a result its further progress would have been stifled. Maybe even the Renaissance in the 15th and 16th century and the Scientific Revolution in the 17th century would not have happened. Of course, Gouguenheim does not doubt that such Greek-to-Arabic-to-Latin translations were made. However, he doubts that Europe is in “debt” of the Islamic civilization for those. He has a number of reasons for this. Who did the Greek-to-Arabic translations? Before the Islamic conquests, the Middle East was home for a number of Christian denominations, like Nestorians, Melkites and Jacobites (some of whom were regarded as heretic by the byzantine Church). They used Greek as the language of the byzantine Imperial administration and of cultural exchange. Syriac was used in Christian liturgy. The first translations of classic Greek texts were made in the 4th century into the Syriac language by Christian scholars, many of them living in the city Nisibe, which belonged to the Persian Empire since the end of the 4th century. The translators were often Christian physicians like the famous Hunayn ibn Ishaq (809 – 873)—the so-called “Sheikh of Translators”—or Ibn Masawayh (circa 777–857), both of them belonging to the Nestorian faith. Syriac was indeed the most important medium for the transmission of scientific texts of antique Greece into the Arabic language (p. 68). However, translations from Greek directly into Arabic were made, too. How was it possible to translate complicated scientific or philosophical texts from Greek or Syriac into Arabic, given that the Arabic language had not been used to express such knowledge previously? One had to to create a scientific-technical vocabulary, as the first stage. In other words: the scientific form of expression in the Arabic language was created from A to Z by Christians … in medicine it was mainly Hunayn ibn Ishaq who created the foundations of scientific terminology for the Arabic language (p. 71). In summary, the Greek-to-Arabic, and Greek-to-Syriac-to-Arabic translations were done by Christians who created even the scientific vocabulary for the Arabic language necessary for these translations. Both Muslim Arabs and later, during the 12th century, when the Arabic texts were translated into Latin, Western Europeans profited from the work of these Christian scholars. All this is certainly true. However, one has to acknowledge that it was the Muslim elites who commissioned these translations, thus they played a large part in them. Giving the whole credit for the translations to Christians would be like giving the whole credit of building the Colosseum to Jewish slaves and negating the contribution of the Emperor Vespasian, who commissioned the building of it. Still, if there is a “debt” in all this, then it is at least partially owed to these original Christian translators—to their knowledge of both Greek and Arabic—in addition to the Muslim elites who commissioned the translations. What was the quality of the translations? There was lots of variation in quality. One particular problem was the large number of languages—Greek, Syriac, Arabic—involved. Later, in the 12th century, when the Arabic texts were translated in Spain, Latin came to this list. Even if the translation from Greek to Syriac was done by a good translator like Hunayn ibn Ishaq, the quality of the Syriac to Arabic translation could drop, if the translator was less talented. And, of course, the translation from Arabic into Latin could cause another drop in quality. A further potential source of problems was the translation technique used. One method was to translate simply word by word. One can imagine how such a translation method could change the meaning of the original text. Another method was to try to understand the meaning of the text, and then translate this meaning. This second method sounds a lot more appropriate for a philosophical or scientific text, but there is a danger that the own ideas or understanding of the meaning by the translator can change the original meaning. [The philosopher] al-Kindī oversaw the activity of Christian scholars who could render Greek into Arabic. The results were mixed. The circle’s version of Aristotle’s Metaphysics can be almost incomprehensible at times … while their ‘translation’ of the writings of Plotinus often takes the form of a free paraphrase with new, added material … What was the role of al-Kindī himself in all this? We’re not entirely sure, actually. It seems clear that he did no translating himself, and he might not even have known much Greek. But it is recorded that he ‘corrected’ the Arabic Plotinus, which could have extended to adding his own ideas to the text. Thus, al-Kindi apparently inserted his own ideas into the translated text, making, according to Professor Adamson, “dramatic interventions” in it. While his translations from Greek into Syriac were closely following the meaning of the original, his Greek to Arabic translations put much more value on elegance than on accuracy. In his Risala he admitted that the person and the age of his client determined the quality of his translations (p. 155). One wonders how at the end of the translation chain (Greek-Syriac-Arabic-Latin) the meaning of complicated philosophical or scientific texts could survive either of the two translation methods. One would also expect that direct translations from Greek to Latin would have had less issues. Indeed, Gouguenheim thinks that the Greek-to-Latin translations of James of Venice (see below) were of higher quality and reflect the meaning of the Greek original better than the Arabic-to-Latin translations by Gerard of Cremona—even though James of Venice used the word-by-word translation method. Not only was the structure of the Arabic language radically different from that of Latin, but some Arabic versions had been derived from earlier Syriac translations and were thus twice removed from the original Greek text (Edward Grant, The Foundations of Modern Science in the Middle Ages, 2011E, p. 26). (Edward Grant, The Foundations of Modern Science in the Middle Ages, 2011, p. 26). These quality issues in the translations question the usefulness of these translations in faithfully transmitting the antique Greek knowledge to Europe—and thus further question the “debt” that Europe is supposed to owe to Islam. How far was it necessary for Muslims to “preserve” the ancient Greek texts? Had Muslims not conquered the Middle East, there would not have been any need to “preserve” the classic Greek works by Muslims. The Middle Eastern Christian communities highly valued these works, just as the Byzantines did. They were willing and capable of preserving these books themselves. As for the books you mention, if there is in it what complies with the Book of God, then it is already there and is not needed and if what is in these books contradict the Book of God there is no need for it. And you can then proceed in destroying them. Amr ibn al-As then destroyed the books by using them to heat the bath houses of Alexandria. It is debated whether the episode described by al-Qifti really happened. Some, maybe most, modern historians—like Bernard Lewis—think it is a fabrication. One reason mentioned for the unreliability of al-Qifti’s report is that he lived more than 500 years after the events he describes. But even if the episode is not true, there was a strong undercurrent in Islamic society, motivated by fundamentalist religiosity, directed against the “foreign sciences” and the falasifa, Muslim philosophers, who studied these sciences. 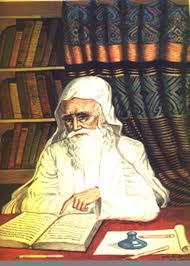 In at least one case the books written by a Muslim philosopher (Averroes) were burned because they were deemed heretical. 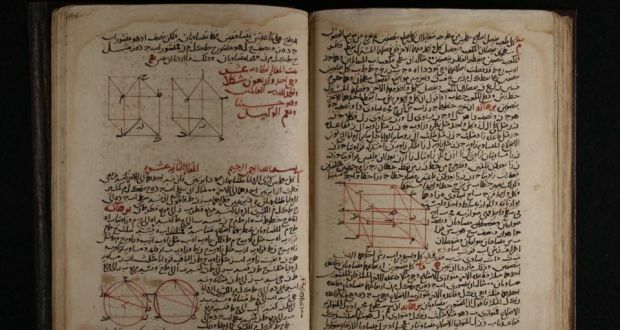 Texts written by other Muslim philosophers—like al-Razi—have not been preserved, presumably because they were considered heretical (al-Razi’s views are only known from writings of his opponents). Thus, though there was no danger to these ancient Greek texts before the Muslim conquests, these conquests themselves might have created a danger to them, from which the later protection by the Muslim elites and the translations saved them. Is it true that the works of Aristotle would have been lost for Europeans without the Arabic translations? Gouguenheim’s answer is a “no”. The reason is that, in addition to the Arabic-mediated translation route, there have been translations from Greek directly into Latin, done in Europe, by European scholars. The number of such translations was tiny before the year 1000 A.D., but it increased a lot by the first half of the 12th century. James of Venice—the central figure in Gouguenheim’s book—translated a whole series of Aristotle’s books from Greek to Latin. He focused his attention in particular on the writings of the philosopher on physics and metaphysics, none of which was available up to that point in Latin translation in Europe and which then were going to be used as the basis for Europe’s scientific development (p. 88). Given such numbers, statements that Western Europe wouldn’t have been interested in Greek philosophy, and that direct translations from Greek to Latin were a mere fringe phenomenon, are not tenable (p. 92). James of Venice lived part of his life in Constantinople where he might have made at least part of his translations. But Gouguenheim believes that he also spent time at the monastery of Mont Saint-Michel, in Northern France, where he also made translations. James of Venice completed all (or most) of his Greek-to-Latin translations during the first half of the 12th century. For example, he finished the first full translation of Aristotle’s Analytica posteriora in 1128. The translation of Aristotle’s Physics was completed in about 1140. In contrast, Gerard of Cremona started publishing his Arabic-to-Latin translations after 1165. James of Venice has translated almost all writings of Aristotle from Greek to Latin during the mid-12th century. His translations were copied many times and the copies were distributed after the mid-12th century in France, England and the Rhineland. [made by Gerard of Cremona, from Arabic into Latin] in Toledo (p. 262). Though James of Venice was the most productive Greek-to-Latin translator of Aristotle during the 12th century, he wasn’t the only one. The two Analytics of Aristotle were translated, apparently before 1159, by an unknown translator called “John” (Jean). There are also two Greek to Latin translations of Aristotle’s Metaphysics from the second part of the 12th century. Greek to Latin translations continued during the next—the 13th—century. 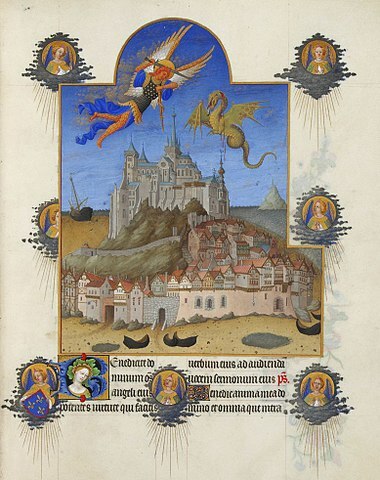 The best known 13th century translator of Aristotle’s works from Greek to Latin was William of Moerbeke who translated almost all of Aristotle’s works. All this implies that Europe didn’t depend on the Muslim-mediated knowledge transfer. Europe, far from being primitive and uninterested in knowledge, actively transferred sophisticated classical Greek knowledge by translating classical Greek writings directly from Greek to Latin. Europe didn’t need the “preservation” and transmission of the Greek texts by Muslims. This further weakens the validity of the claim of a “knowledge transfer debt” that Europe supposedly owes Islam. Thus, though the Arabic to Latin translations were useful for European civilization, they were by no means indispensable for later European cultural and scientific development, partially because translations made directly from Greek to Latin were available (in larger numbers than the Arabic-to-Latin translations) and partially because the Arabic-mediated translations were of questionable quality. Furthermore, the translations into Arabic were made —though commissioned by Muslims—by Christians, further weakening the claim of a “knowledge transfer debt” that Europe supposedly owes to Islam. If Muslims hadn’t conquered the Middle East, Europe would not have needed the Greek texts to be “preserved” by Muslims. Nobody in a non-Muslim Middle East would have destroyed those books. They were highly valued by Middle-Eastern Christians and also by the Byzantines who did copy and preserve them. There is no doubt that sooner or later those books would have been translated into Latin, directly from Greek—as done, for example, by James of Venice.